Did you know that you can open up your new blog for guest bloggers? Why would you want to have submissions as a blog strategy? And how do you open up your blog for guest writers? There are multiple ways to increase blog traffic and one way is to turn your blog into a contributor blog. This is a blog that has multi-authors and allows for a blog content calendar with fresh posts weekly, bi-weekly or daily. And the blog traffic you gain can come from the writers sharing your blog post on their blog – or better – linking to your blog on bigger sites. This is a great SEO strategy. For example, Freelancer FAQs is an older contributor blog I own. I have freelance writers guest post on this blog as a way to build their portfolio and credibility as as writer. I’ve had popular freelance writers contribute to FreelancerFAQs as well as brand new writers wanting to grow their business. This has lead to great backlinks from contributors – for example, contributor Sharon Hurley Hall linked to FreelancerFAQs in a Crazy Egg post about CRO. Many mom bloggers take a break from blogging and know that if they do that – there are no new blog posts published – traffic suffers and followers stop following. Ouch! You don’t want that. Create blog posts before you take your break. But this means doubling your content and if you aren’t feeling it or don’t have the time, this may not be an option. Get guest bloggers to submit a guest post for your blog. But this strategy is a short-term way to open up your blog for guest writers. Once the mom is ready, she’ll continue blogging. Another reason mom bloggers may start a contributor blog is if they want to change their blog traffic and monetization strategy. Having a guest blogging site means the potential for an increase in blog traffic at a faster rate than you would with a typical blog. You’ll have more content to share and promote over a shorter time. 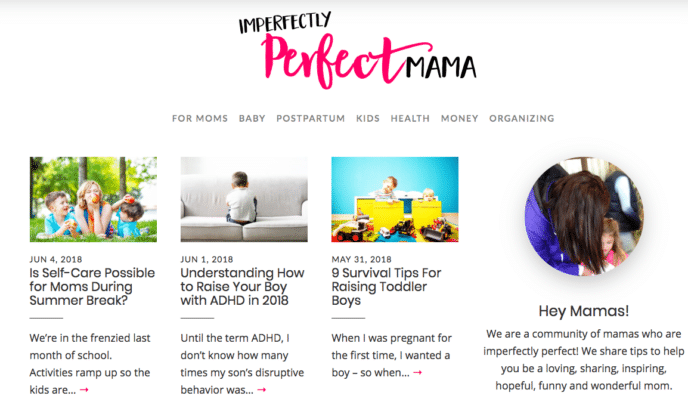 I started a new contributor blog, Imperfectly Perfect Mama, and was able to quickly grow blog traffic and get many submissions for blog content. I didn’t want to start another blog as I already have several. So, instead of sitting on this new blog I picked up, I turned it into a guest contributor blog. And, as a mom blogger, you can do this too with a new blog. So, what’s the process to opening up your blog for guest writers? Here is what I did to turn Imperfectly Perfect Mama into a guest blog. The best option – by far – is to take over an existing site. This means finding a blogger that no longer wants to blog. You can ask your email list or ask on social media if there are any bloggers that don’t want to blog anymore. I posted in my Mom to Mompreneur Facebook group that I was looking for another blog. I was fortunate to find a blog that was established. This blog was a year old and had social media profiles set up as well as two Facebook groups. When finding an an existing blog you want to have a blog that’s at least a year old and – if possible – social media profiles like Pinterest and Facebook. 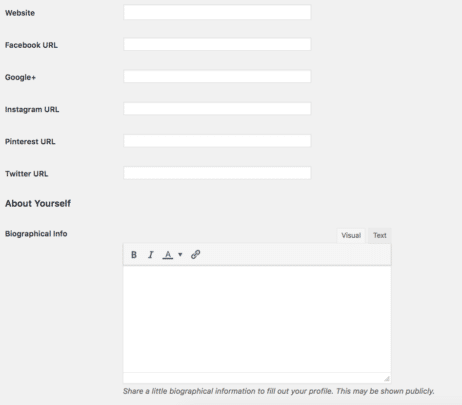 Similarly, you can open up your blog to guest writers. Whether you’ve been blogging for three months or just started your blog today, you can open it up to guest writers. These three platforms can promote daily or multiple times a day. Okay, you don’t NEED the related post plugin, but it’s a great way to market your blog content when most of your initial blog traffic will come from new users who don’t know your blog content or blog niche. As a freelance writer, I value having an author bio on my client’s content. 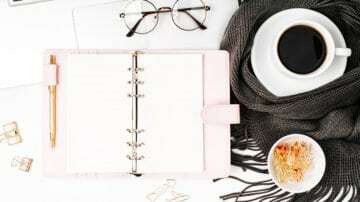 I want to market my freelance writing service on my client’s blog and you should allow any guest bloggers that create FREE content for you a place to market their blog and business. It’s a best blogging practice in my book! If you don’t use a plugin, you can just place the author bio at the end of the blog post, but a plugin makes it look more professional. The Write for Us page is the guest post guidelines page. 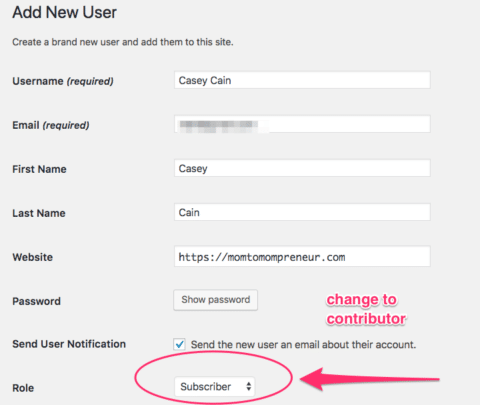 The contributor page is optional for your guest blog. This is a page dedicated to the guest writers. 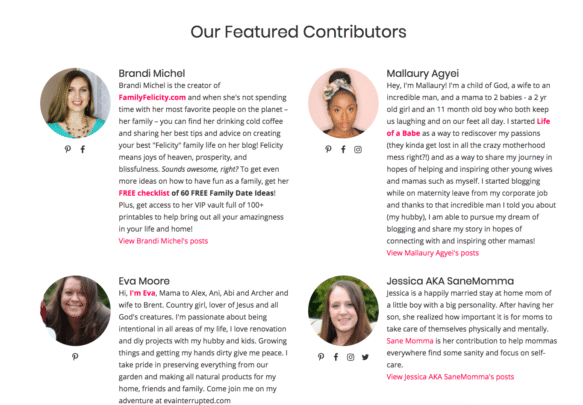 Since Imperfectly Perfect Mama is a community of moms, I wanted to feature any guest writer as much as possible. The one I use is the contributor role. This role means the writer can’t add images to your blog post or edit the blog post once they submit their post for review. 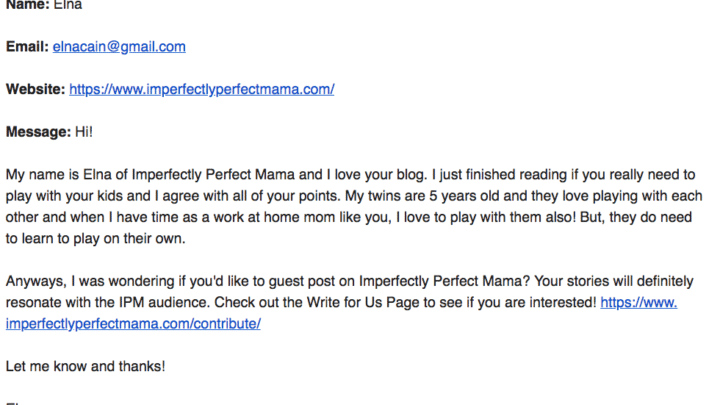 When someone wants to guest post on your blog, here are the steps I use for Imperfectly Perfect Mama. 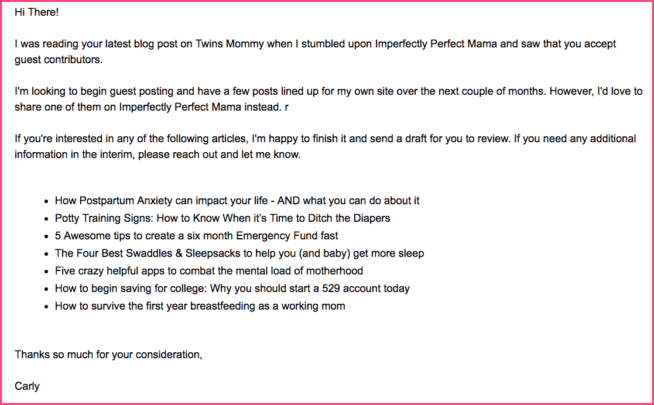 I created a separate email account for Imperfectly Perfect Mama. So, when someone pitches a blog post idea, I’ll receive it as an IPM email. I review the email and make sure the blogger has a blog and is a mom. If the blogger doesn’t give me blog topic ideas, I email them again asking for some ideas before we get started on the next step (I say that in my email). To email me their headshot if they don’t have a Gravatar associated with the email they used. In WordPress go to Profile > Add New. Then hit Add New User. That’s it. If the user doesn’t have an image, you can email the blogger for a headshot and manually upload the image to your media library and add that to their user profile. Once WordPress emails them their user profile they can log in and update their user profile with their social media links and create an author bio. The guest blogger can then go to Posts and write their post. Currently there are around 26 pending posts waiting for me to edit. Depending on how many contributors you get or submissions you receive, this process can be handled by a Virtual Assistant or by you. Since Imperfectly Perfect Mama is a year old, I want to gain some search engine traffic along with Pinterest traffic. To do this I need to focus a bit more on SEO – search engine optimization. I search in Google for keyword phrases and look at how popular search terms are. Typically, when a post does well on Pinterest, it will help with gaining Google traffic and ranking on Google. So, for this post, Understanding How to Raise Your Boy with ADHD in 2018, I searched in Google what people are wanting to know about ADHD. 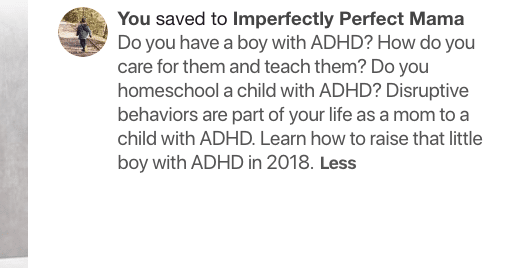 Since “raising a boy with ADHD” is a popular term that big brands use (like PsychCentral), I had to use an identifier to be able to start ranking. So I decided to use “in 2018” as there were searches for this phrase. While I also optimized the post for search traffic, I made sure to format the post for online reading. This means breaking up paragraphs and adding sub topics if none were there. Most submissions didn’t need much formatting but I did interlink when possible and made sure no affiliate links were in the posts. One final thing I did was include images for sub headings as a way to increase readership and engagement with each post. I use a Pinterest template for Imperfectly Perfect Mama and paid stock photos for my social media graphics. I typically make one Pin graphic and use my stock photo as the Twitter and Facebook image. When deciding on the Pinterest description, I search on Pinterest the keyword I used in Google to see what comes up. I then use suggested terms Pinterest gives me. Here is the optimized description for the post about ADHD. The final step is to set the publication date. For Imperfectly Perfect Mama, the content schedule is 3x a week, but since I have over 20 submissions, I sometimes do daily posts for a set time (like one or two weeks). It’s up to you how you set your publication date. If you have enough posts, I would opt for at least twice a week or once a week. You also want to make sure to bump submissions that are time sensitive (like for holidays or seasonal content). Next, is emailing the guest blogger the publication date of their guest post. Some guest blogs don’t do this, but it’s a nice blogging practice and something I do for the community at Imperfectly Perfect Mama. When a guest post is published, it’s time to share it on your Facebook page, in Facebook groups and on Pinterest. 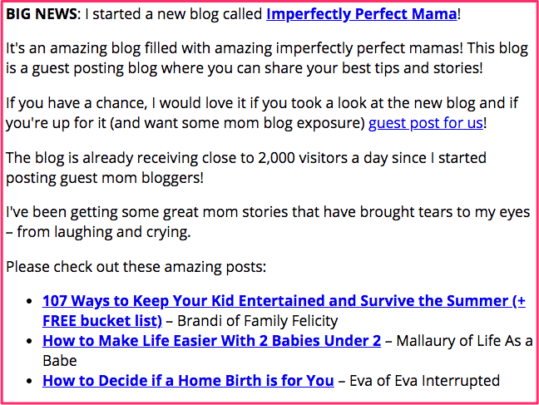 I try to to also tag the guest writer when I share their post on the Imperfectly Perfect Mama Facebook page. Blogger Outreach – How Do You Get Bloggers to Guest Post On Your Blog? Now that you opened up your blog for guest writers, you need content for your blog! How do you attract guest bloggers to write for you? Here are some promotional strategies for blogger outreach. An easy way to promote your guest contributor blog is to create a “write for us” graphic and share that on social media or on your blog (or other blogs). For example, I created this graphic that I placed in the Write for Us page and shared it on Facebook and Twitter. You can use this graphic to also promote in Facebook groups or even Pinterest groups. If you started an email list, a great way to get contributors is to tell your subscribers about your new blog or your new guest blog. Finally, a great way to get some guest writers for your guest blog is to reach out to them and ask them to guest post for you! Yes, it’s a bold move, but if you create a template of sorts (while still being authentic and original each time you email a blogger), it becomes easier. So, where do you find these bloggers? For example, here’s an outreach email I sent to Jessica of Sane Momma. 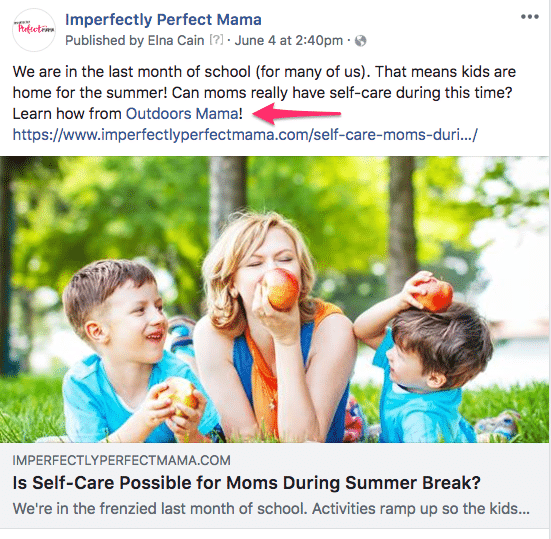 Before I reach out to bloggers to contribute to Imperfectly Perfect Mama, I make sure to read a few blog posts of theirs and connect with them when I contact the blog owner. This is important as you don’t want your email to come off as a template or pitch. 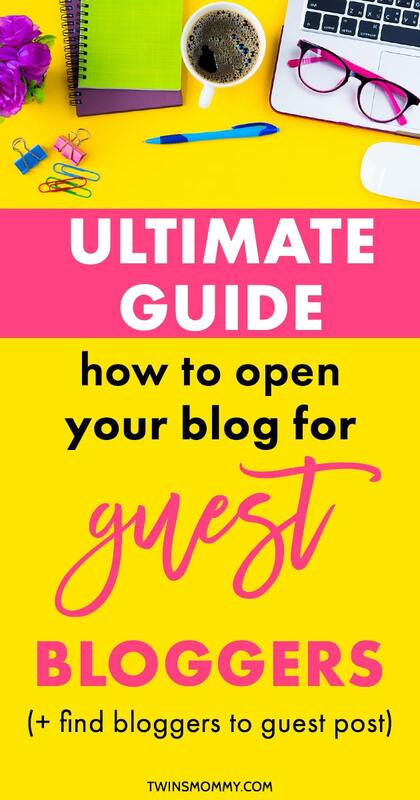 Whether you are gearing for the birth of your new baby or want to change your blog traffic strategy, opening up your blog for guest writers is a great way to grow your brand, audience and traffic! Now, it’s your turn – do you have a guest blog? Share it in the comments! Awesome post! I was wondering if I had done the right thing today by opening up my blog for people to contribute. Had no idea where to find these people though. Thanks for the guidelines! So glad this post helped you with your contributor blog! I am so chuffed with the Author Bio plugin, so thanks for making me aware of it! Do you know of any places where you can submit your blog so that people who want to guest post can find it there? That’s awesome you opened up your blog for guest writers! As for places to submit your blog, not sure? I just know to promote it on social media. There may be blogs that round up guest sites so you can try to reach out to them? I know my other contributor blog FreelancerFAQs has been nominated for one of the best blogs for writers! This helps with getting your blog out there! This is such a helpful post! I recently started a second blog (a travel blog) and am realizing I would much rather turn it into a contributor blog than have it as a personal blog. I do have one question, do you think I should wait until the blog has a higher DA until I open it up for guest posts? I feel like I don’t have much to offer to guest posters right now since the blog is new and not very established yet. You don’t have to. In the beginning you can drip your guest posts. So ask certain bloggers if they’d like to contribute and just mention that you’ll promote it on you social media profiles. If you have a lot of followers and a big email list these can be incentives to guest post as well! I was thinking of opening my Blog to guest posting later on and I was confused as to setting them up as a contributors. I didn’t know that I could help them upload a Gravatar. So, this clears it up a lot! Just one question: When do you feel is the right time to accept guest posters? I’m still building my Blog and Brand and I don’t feel it is the right time to dilute my voice. Because it’s so important at this stage as I have only 15 blog posts up. In all honesty, the sooner the better so that you don’t dilute your brand. You can drip out guest posts slowly so have one contributor a month and then twice a month and then three times a month. This may help maintain your voice and still blog on your blog. Or, you can wait until you have a strong brand and then open up to contributors. For my Elna Cain brand my other blog is FreelancerFAQ’s but I’m pretty sure the people who guest post know my main blog ElnaCain and who I am! So try dripping out guest blog content on your blog to gauge the reaction of your audience! Since opening up my blog for guest submission, I get daily mails from bloggers and SEO backlink mongers. Just as you are thinking, I quickly delete those requests from link seekers. I have a page on my blog about basic requirements but most of these link hungry writers don’t even visit my blog to read. They use outreach apps to fetch and pitch. Thanks for the simple guide. Yes, I’m getting those proposals too! I just delete them and do my best to mention the requirements on my write for us page! Great and very thorough post as always, Elna. I have been recently thinking of trying to find guest posting sites to contribute to…hadn’t thought so much of opening MINE for guest posting! 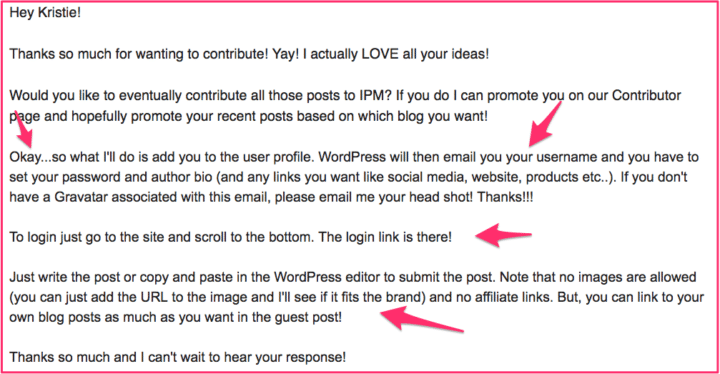 I do have a question…do these same plugins work if we don’t want our blog to be solely for guest posting? I am thinking I would just like to offer guest posting as an occasional side dish rather than the main course! Same idea or totally different beast? Yes, both work for just blogging. I use the author bio plugin for my Twins Mommy post and for my other blogs. I personally like having a bio at the end to let people know who wrote the blog post and get more marketing for my blog! The related post plugin is for any blog too! Just more ways to market your blog! This is a great idea. I like that you have set things up so the guest posters can set up their own content and you don’t have to as much work. Our blog for writer/parents takes guest posts too but I have found that the formatting and editing can be so time consuming. That said, I love having multiple voices on our blog. Sometimes my writing partner and I get tired of just sharing our own perspectives on writing and parenting and enjoy hearing from other writers. Thanks! I used to not do this method of having the guest log in and write up their post, but it really is a time saver for me! Editing guest posts for me doesn’t take that long unless the blogger doesn’t use sub headings or title case, then I have to fix that and then insert images. For me, I have a backlog of 30+ posts now! Yikes! Thank you so much for your guest post on IPM! I love that blog and all the wonderful tips moms are sharing. So helpful! Love it and thanks so much! Aw thanks for mentioning me in this morning and post! Your pitch sure worked on me 🙂 but I’ve also been a fan of your work for some time. I will say that receiving your email was very flattering and, even though my days are pretty jam packed, it made me want to make time to contribute. I think the value of collaboration is severely underrated when it comes to the blogging world. We can all benefit from helping each other grow and succeed! You’re welcome! Love the posts for IPM 🙂 Thanks for coming over! I have a question how many topics do you think is a good amount to have on a blog to start? The main focus of mine will be business tips, but also women’s topics and other things my peeps are interested in. Thanks for all that you do! That’s awesome! So happy you want to start a blog and turn it into a guest posting blog! As for topics, you can have up to five topics if you want. I think any more than that confused the readers. But, the less topics, the better! You want your blog to be the go-to or X (a topic). This can take a while to carve out but start with five and go from there!